Cosmologist, Department of Mathematics and Applied Mathematics, University of Cape Town. 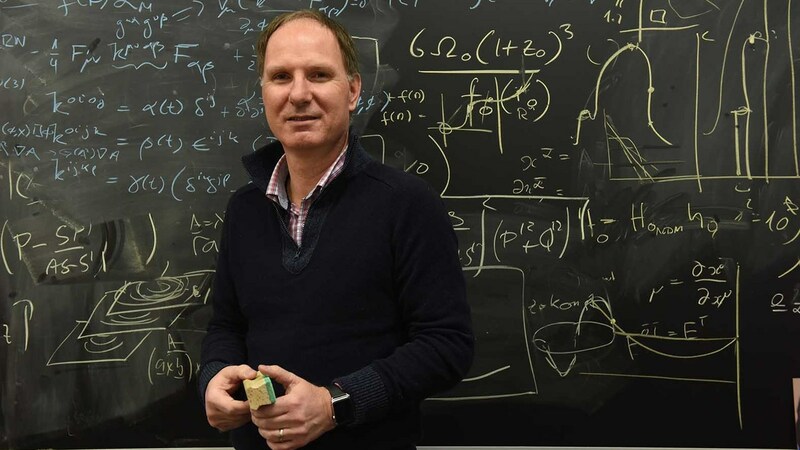 Peter Dunsby is currently a full professor of gravitation and cosmology in the Department of Mathematics and Applied Mathematics at the University of Cape Town (UCT). He has published extensively in theoretical cosmology, teaches undergraduate and postgraduate courses in Applied Mathematics and Theoretical Physics and works closely with his graduate students and postdocs. He is regularly invited to lecture at local and international meetings and has a proven track record in fund raising and in the management of large research grants. In 2003 he secured a bid to host the National Astrophysics and Space Science Programme (NASSP) at the University of Cape Town and was subsequently appointed director of this programme. Over the past eleven years NASSP has made a major contribution to human resource development in Astronomy and the Space Science in Southern Africa.